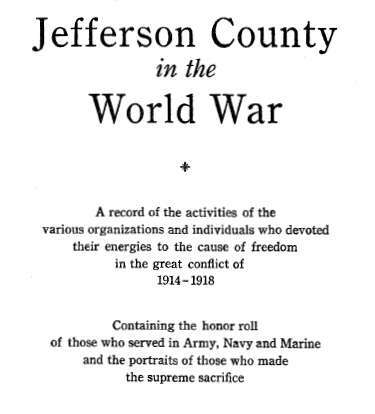 The book, "Jefferson County [New York] in the World War; a Record of the Activities of the Various Organizations and Individuals who Devoted their Energies to the Cause of Freedom in the Great Conflict of 1914 - 1918; Containing the Honor Roll of those who Served in Army, Navy, and Marine and the Portraits of those who Made the Supreme Sacrifice," compiled by George W. Reeves, Watertown, New York, 1920. 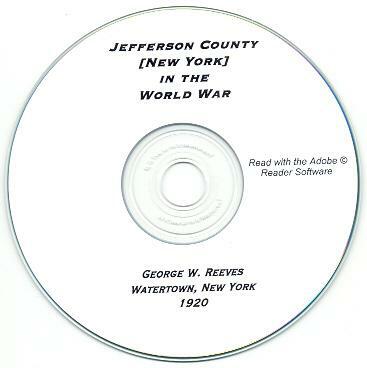 This book lists all of the Jefferson County, New York men and women who served in the United States Armed Forces during World War One. 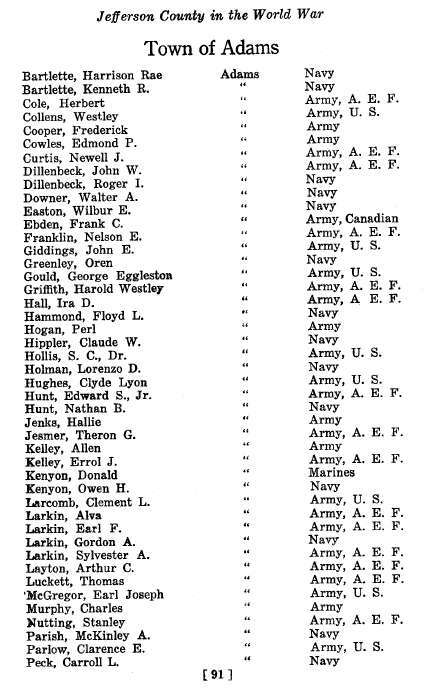 It lists the individuals name, hometown, and branch of service. 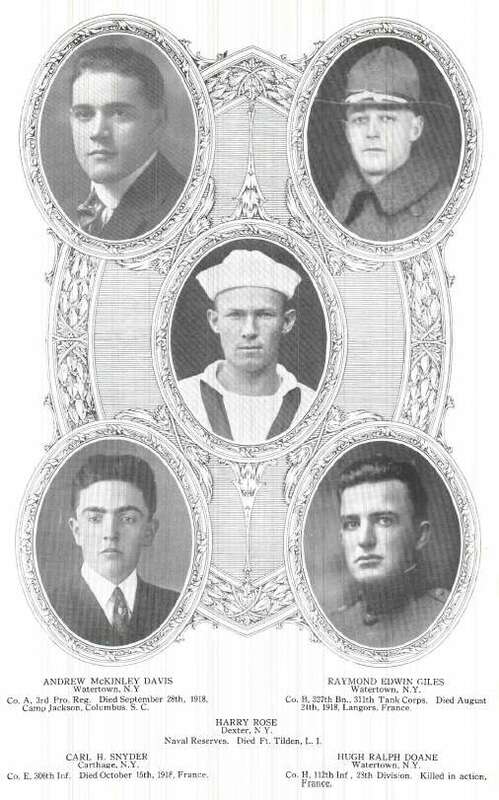 It also has photographs and expanded information on those who died in the service during WWI. 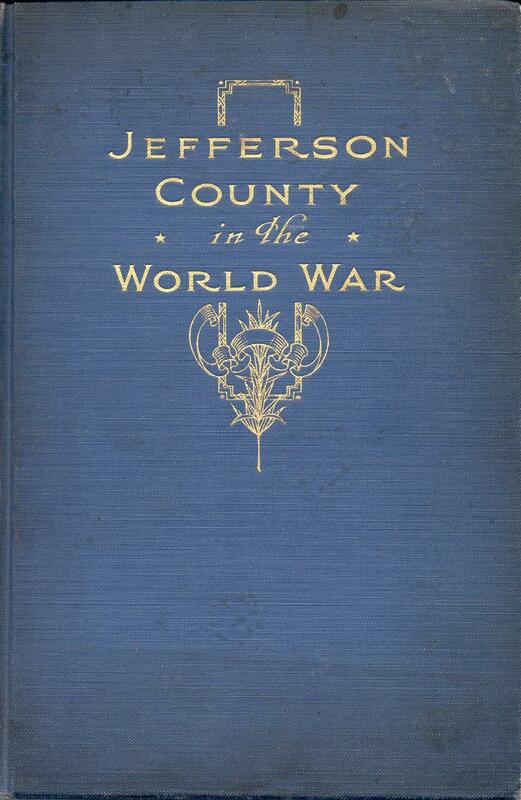 Additionally, the book lists all of those who supported the war effort on the home front in Jefferson County. The book has approximately 208 pages and a linked Table of Contents - all of the names are in alphabetical order. The CD book is also fully searchable; you can search the book using the Adobe Reader 'search' function. Please note: This is not a paper book, it is a scan of the original paper book into the digital Adobe PDF format, written on a CD-ROM. You read this book on your computer using the free Adobe Reader software. It is a digital version of a hard to find book. 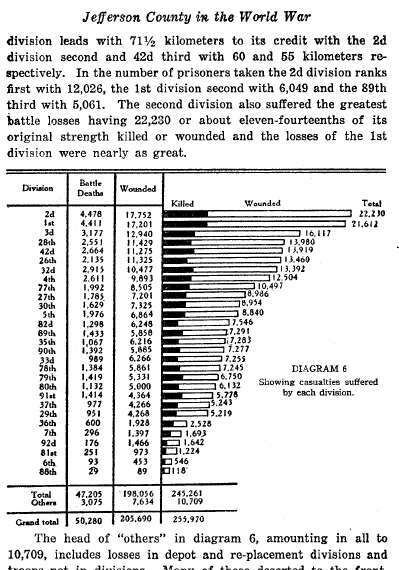 If you could find a copy of the 1920 printed book, it would be very expensive. 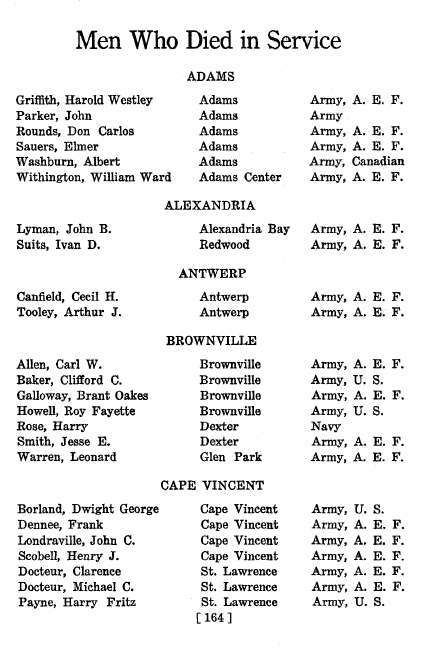 There are too many individuals who served from Jefferson to list them here, please see the images for an example.